Welcome to this weeks episode of Heavy Metal History. 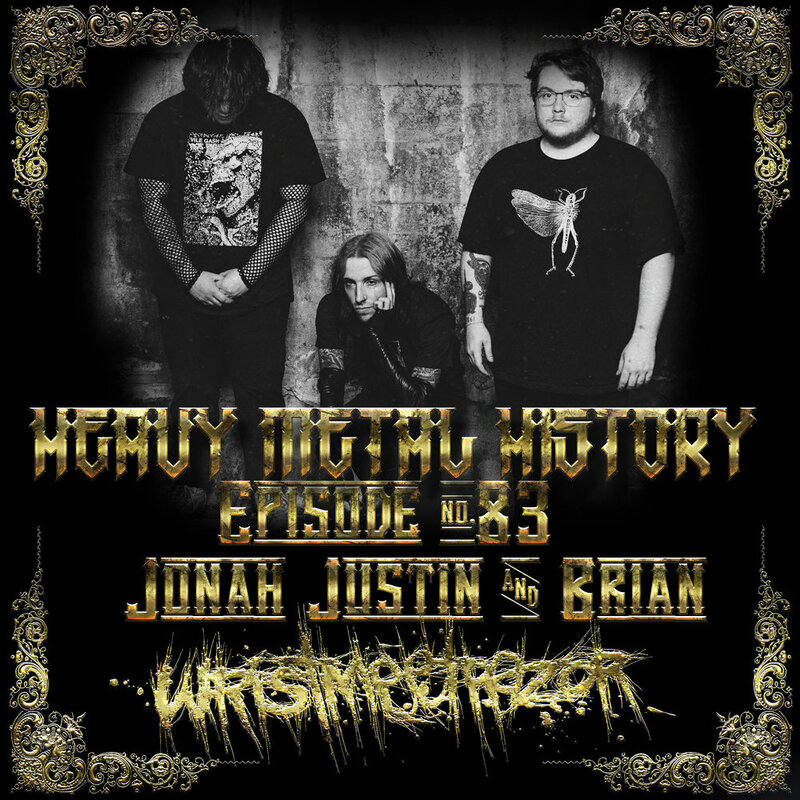 My guests this week on the podcast is the 3 piece band Wristmeetrazor, I got to talk with all the members of the band and this podcast is the ONLY place you’ll get to hear an interview with all of them. We talk about the history of the band and how all the members came together, their “throwback” influences with early screamo bands like City of Caterpillar, Pg.99, Kodan Armada, Orchid as well as early 00’s Metalcore like Norma Jean, Zao and the like. The band wears their influences on their sleeve but have crafted a unique sound album full of emotion and authenticity that is lost on a lot of bands in some respects. In fact my favorite part about talking with these guys was to hear their passion and enthusiasm for the music and wanting to play shows and tour. Its something that I dont hear too often from most bands and to hear that was refreshing. We also talk about how all the members learned their respective instruments. The writing and recording process and what it’s like to be on Prosthetic and how the plan was to release their newest album “Misery Never Forgets” regardless of whether they were going to be signed or not as the band are no strangers to the DIY scene. I appreciate the band taking their time to do the podcast and I hope my listeners take a chance on a newer band thats resurrecting and old sound and making it new again.